the management of the Private Bank call centre. She was also a member of the Private Bank Account operations management team. She then went on to work as a Business Development Manager for Absa Fund Managers for three years where she managed a team of Business Development consultants. Here she was also a member of the executive management team for Absa Fund Managers. She then founded Metamorphosis Skills Development and Training, a 100% Black women owned and managed company, which enabled her the opportunity to consult as an Organisational Development and Learning & Development specialist. Thuli made a significant contribution to the design, development and implementation of the MultiChoice Group Leadership and Women development strategy as the manager of this function. Her single-minded objective in this function was that of enhancing the performance of leaders at all levels. 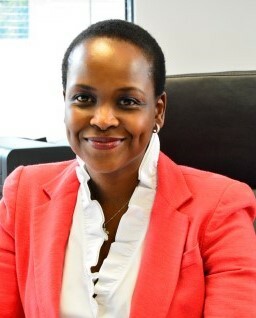 Thuli uses her passion and specialist experience in executive coaching, human capital development and solid business experience to empower leaders and teams to achieve high impact results.